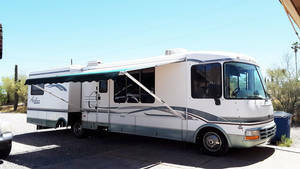 Class A Gas Motorhomes are an RV with the living accommodations built on or as an integral part of a self-propelled motor vehicle. Class A RV Models can range from 24 to 40 feet long. Class A RV gas vehicles are fueled by regular gasoline. Find your next Class A Gas Motorhome from the sellers below!